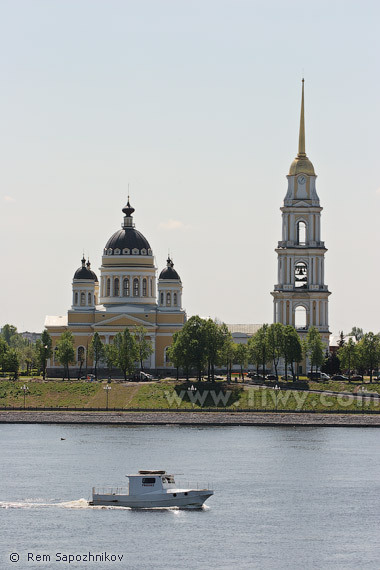 Tiwy.com - Rybinsk town, Yaroslavskaya Oblast (region). Photos 2003-2013. Rybinsk is a small town in the Upper Volga. Calm and quite cozy. 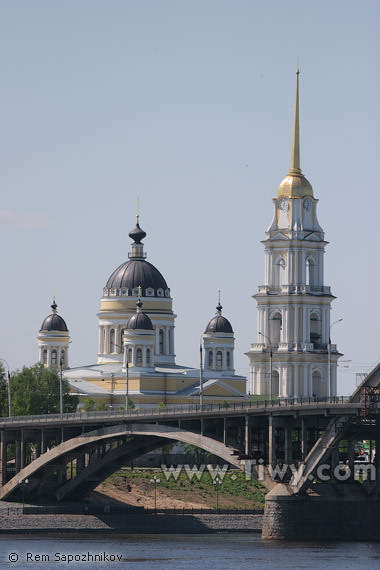 You can get to Rybinsk from Moscow by car for five-six hours of unhurried driving. It is a town with a predominantly Russian population. Unfortunately, it is subject to the same negative trend, as throughout the country. The townspeople are getting fewer in recent years: mortality rate exceeds the birth rate. Plus, the run-off of the able-bodied people. In search of a decent job they leave to the most distant lands, from Canada to South Africa. In Soviet times, Rybinsk was a town of skilled workers and technical intelligentsia. Nowadays the industry has significantly degraded. The attempts to modernize it with “western partners” has lead to nothing. The reason is clear: there is no reason for westerners to create a rival in Russia. Therefore, residents of Rybinsk recollect the past with such nostalgia. The Rybinsk association of motor industry has been the backbone of the development and prosperity of the town. 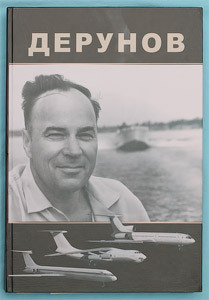 And the name of director of the association – Pavel Fedorovich Derunov (1916 - 2001) – was constantly mentioned in conversations, in the media, in discussions on how to get the town out of the state of permanent crisis. With hope for a better future, the patriots of Rybinsk decided, using the people’s money, to erect a monument to Pavel Derunov at the square named after him. The pride of Rybinsk is this car-pedestrian bridge. It was built in six years. It was inaugurated in August 1963. Total length of the bridge is 640 meters. Photo of 2008. View of the Transfiguration Cathedral. Photo of 2008. This is the most photographed architectural complex in the town. 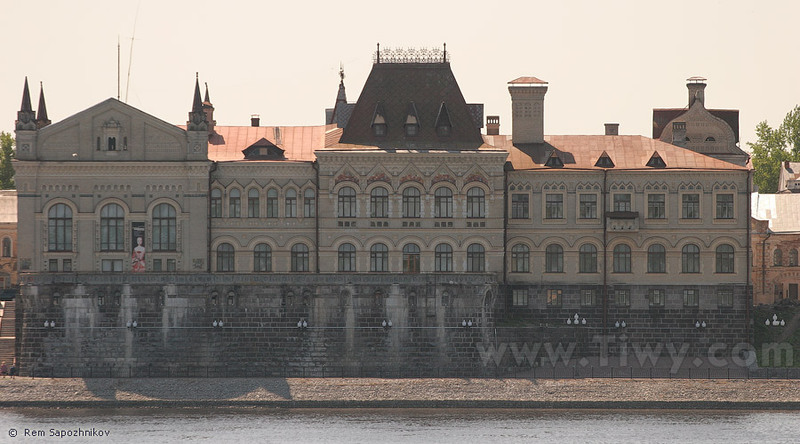 The Rybinsk State Historical-Architectural and Art Museum. Before the October Revolution of 1917 this building, built in 1912, housed the Corn Exchange. Photo of 2008.